The thing Watson is clutching with his crazy eyes… that’s me. Trying to work in our dining room. He wedged himself in the chair behind me then awkwardly hugged me, then promptly decided he needed a better grip and did not want to let go. 5. For the first time (ever) last week, I went into a client meeting with my OmniPod completely visible on my arm. All of my coworkers know I have diabetes and are used to seeing my robot parts, clients are another story entirely. To be honest, I probably would have thrown on a sweater before going into the meeting if I’d thought about it before taking my place at the table. No one said anything, so I wonder if they even noticed. 6. Have you ever heard the expression, “Good fences make good neighbors?” It’s completely accurate in my neighborhood. 7. Sometimes I like to go back and see what I was writing about a year or two ago. At this time last year, I was writing about graduation parties and my mom’s surprise party. It seems like just yesterday! 8. I’m officially obsessed with KIND Bars. I’ve liked them since the first time I tried one, then they appeared at Costco so I can get their natural goodness in bulk now! 10. You know you can find me on Facebook, right? What about you, any bad habits, bad neighbors, new obsessions or random thoughts on your mind? 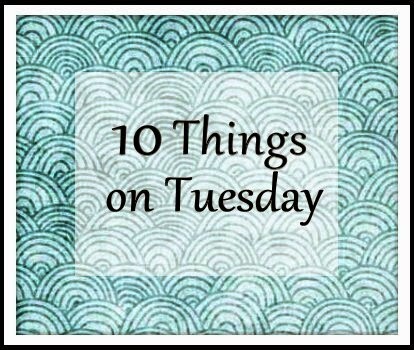 This entry was posted in Commentary and tagged 10 things, bad habits, Blogging, cats, link up, neighbors, random, random thoughts, Travel by Rachel. Bookmark the permalink. Aww, I love the awkward kitty hug face! Thanks for joining in!